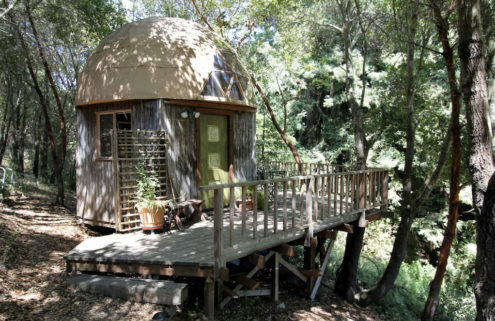 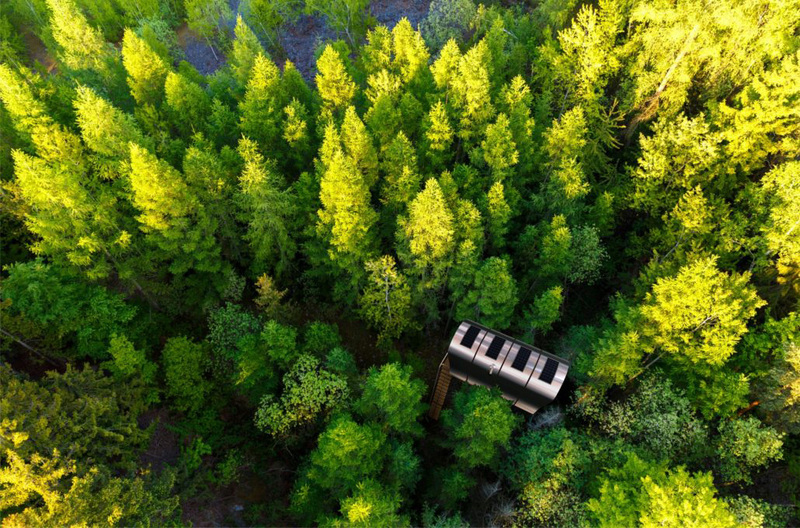 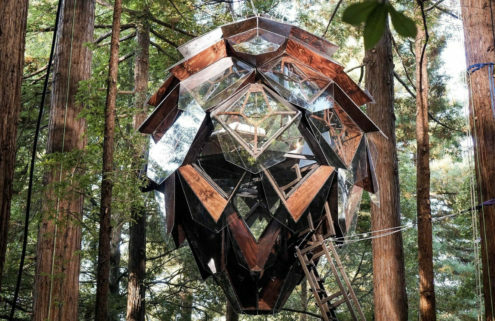 This tiny cylindrical cabin can hang from the trees or stand on stilts, depending on the terrain. 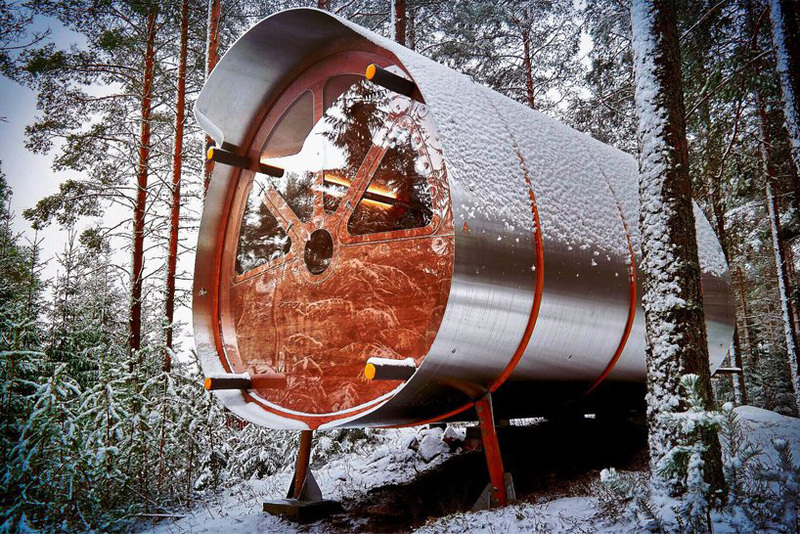 Fuselage is inspired by elements of aerospace design with a tube-shaped body that’s as lightweight as possible. 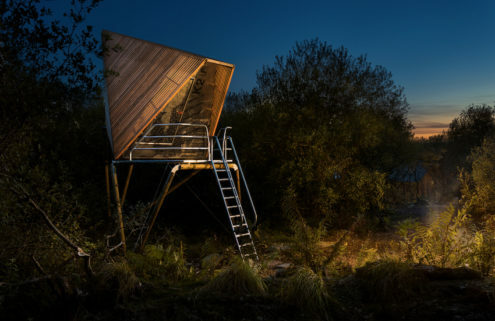 The flat-pack prefab is made from sustainably sourced timber and recycled aluminium, and the cabin can be immediately assembled on site – although its maker, Tree Tents, recommends getting a tree surgeon involved for suspended huts. 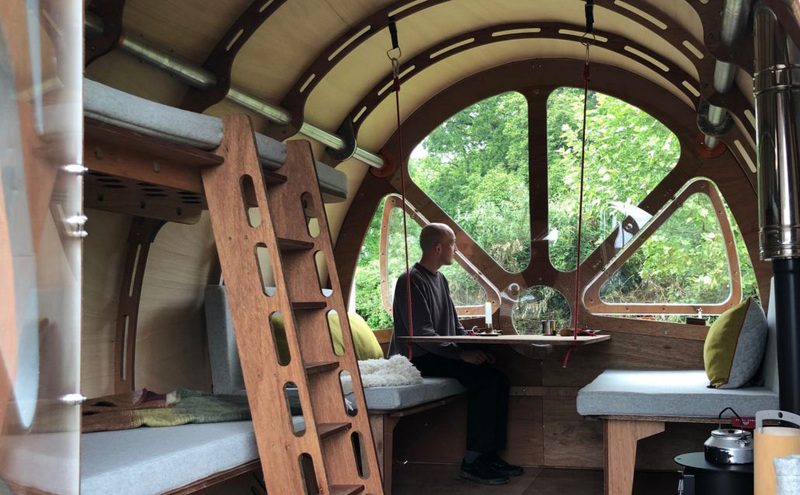 Triple insulation keeps the Fuselage dry, and a wood stove and radiant heating are installed for colder days. 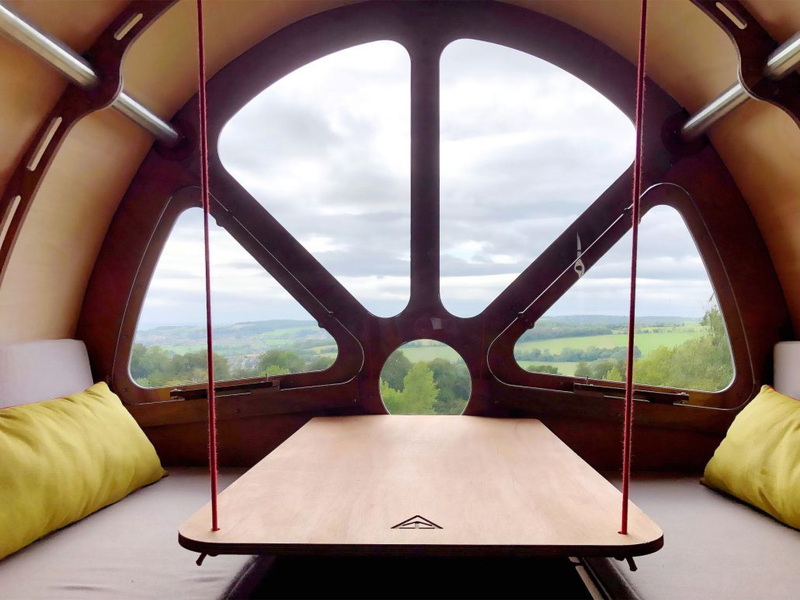 The basic version of the ‘glamping’ hut – which starts at £26,000 and takes 6-8 weeks from construction to delivery – includes beds, seating and minimal interiors, but the cabin can be customised further. 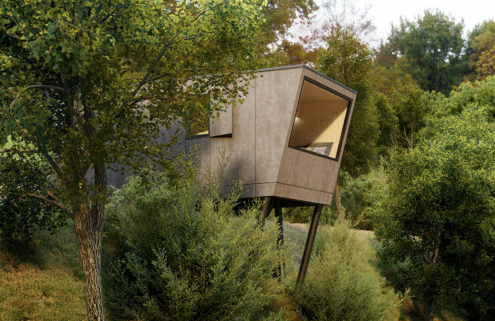 Add-ons include timber cladding, solar panels, and wool blanket sets. 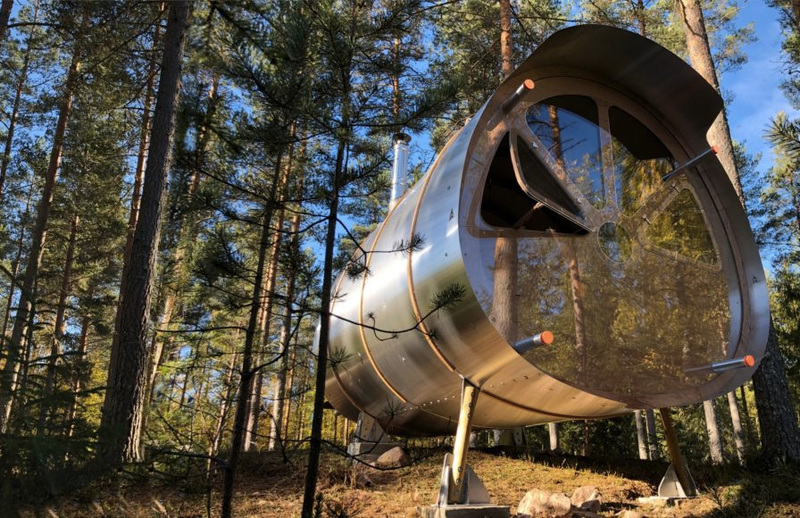 And owners that plan on using their Fuselage as a regular weekend getaway can extend it and install a WC, shower and kitchen.